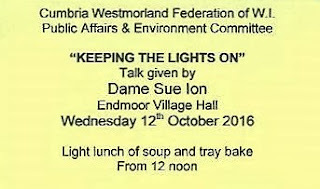 On Wednesday 12th October, Gill, Doreen, Marjorie and Jane went to Endmoor Village Hall. 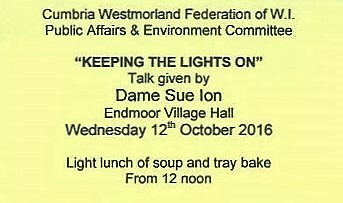 After a very enjoyable lunch of soup and tray bake, they listened to Dame Sue Ion talk about her time in the nuclear industry, the future of nuclear power stations in the UK and, most importantly, what the power industry needs to do, and the energy it must produce, in order to keep the lights on. 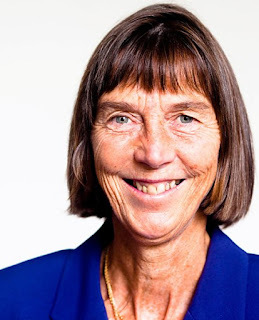 It was a fascinating and far reaching talk and she dealt brilliantly with all the questions that were put to her.